365:18 Blue | Flickr - Photo Sharing! 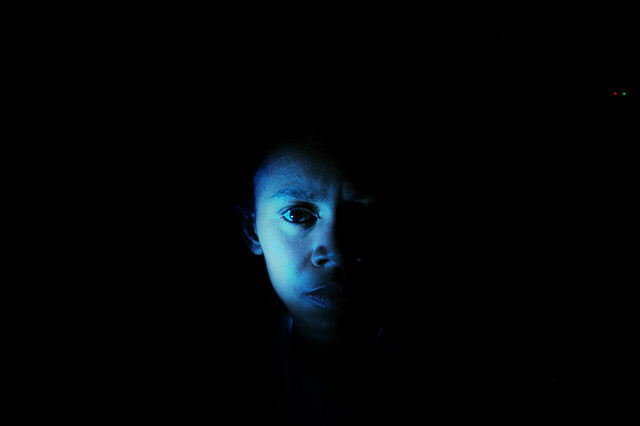 I had so much fun playing with flash lights earlier, I decided to try again and not be so half-assed about it. This isn't an entirely whole-assed attempt either, though. Had I really been thinking I would have tried to looked all pensive and tortured artistsy like the Joni Mitchell cover. And I would have unplugged the damn battery recharger. (Those ET landing lights on the side.) I could crop them out, but really, what's the fun in that? For a moment, I considered loading the picture up in photoshop, rotating the hue to green and calling the pic 'The Great and Terrible Oz'. They I reminded myself I actually had real, grown-up stuff I need to be doing instead. I like the one light experiments though so there may be a few more of these.